Emily loves Sofia the First! She is absolutely obsessed with the castle from this show, and was so excited when I showed her this cover. She was quick to spot Snow White, who makes a special appearance. The wicked fairy, Miss Nettle, disguises herself as a powerful sorceress and attempts to steal Sofia's magical amulet. 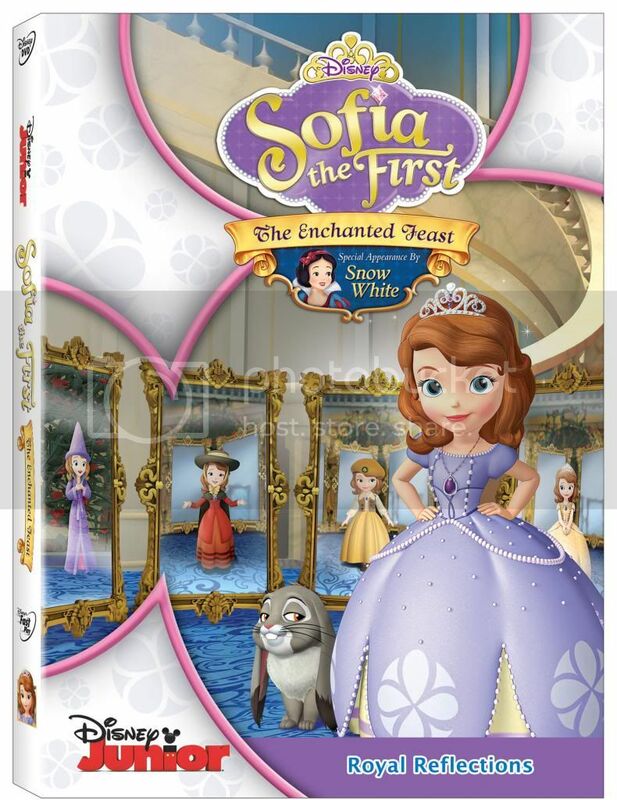 With the help of Snow White--Sofia must learn to trust her instincts and speak up when she suspects someone is not who or what they say they are. Features voices from Ariel Winter (Modern Family), Wayne Brady (Lets Make a Deal), and Tim Gunn (Project Runway), over 110 minutes of playtime, 4 bonus episodes, and a free enchanted mirror! I remember seeing Disneynature's "Chimpanzee", and their "Earth" is on my list of movies to watch in the near future. Now, in this studios latest release, "Bears", I look forward to seeing nature close up once again. From Disneynature, the studio that brought you "Earth" and "Chimpanzee", comes the must-own true life adventure "Bears" available on Blu-Ray Combo Pack (BluRay, DVD, + Digital), Digital HD, Disney Movies Anywhere (DMA), and On-Demand, Aug. 12, 2014. An epic story of breathtaking scale, this heartwarming, and visually spectacular film showcases a year in the life of a bear family, as two young impressionable cubs are taught life's important lessons. 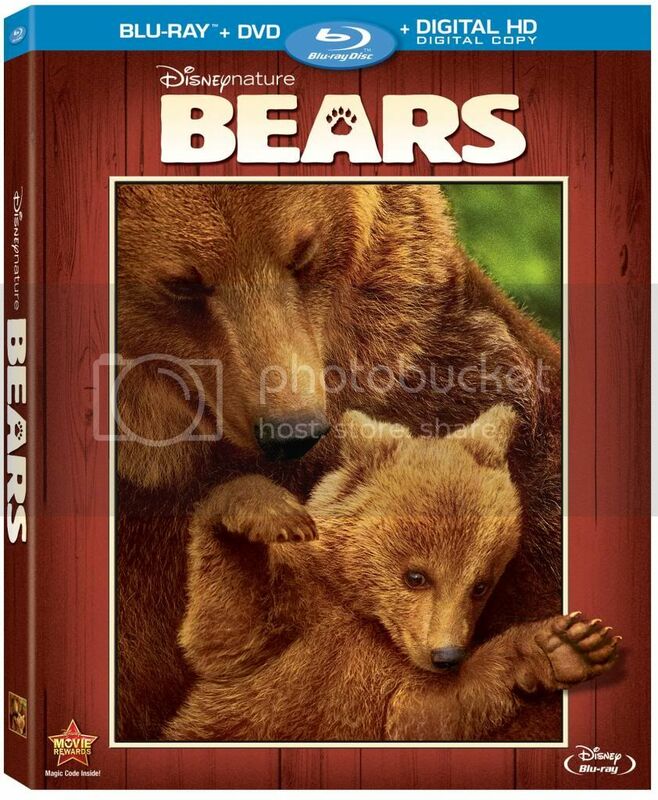 Families everywhere can now travel to a majestic Alaskan wilderness teeming with life without leaving home as "Bears" arrives on Blu-Ray Combo Pack, and Digital HD featuring stunning high definition picture, transporting sound, and exciting bonus features both parents and children will love. As a bonus, for the first week of sales, Disneynature will be making a donation through the Disney Worldwide Conservation Fund to the National Park Foundation (a charity that helps protect and conserve the wildlife, and enhances field research). Special features include the music video for "Carry On", featuring Olivia Holt, and 4 making-of videos. I grew up on The Muppets, through and through. Kermit the Frog and Miss Piggy, Gonzo, Animal, Fozzie Bear...they were all my favourite at one point! I am so glad this continues to be a classic, and can't wait to share this movie with Emily! Hard to believe we haven't watched it yet. 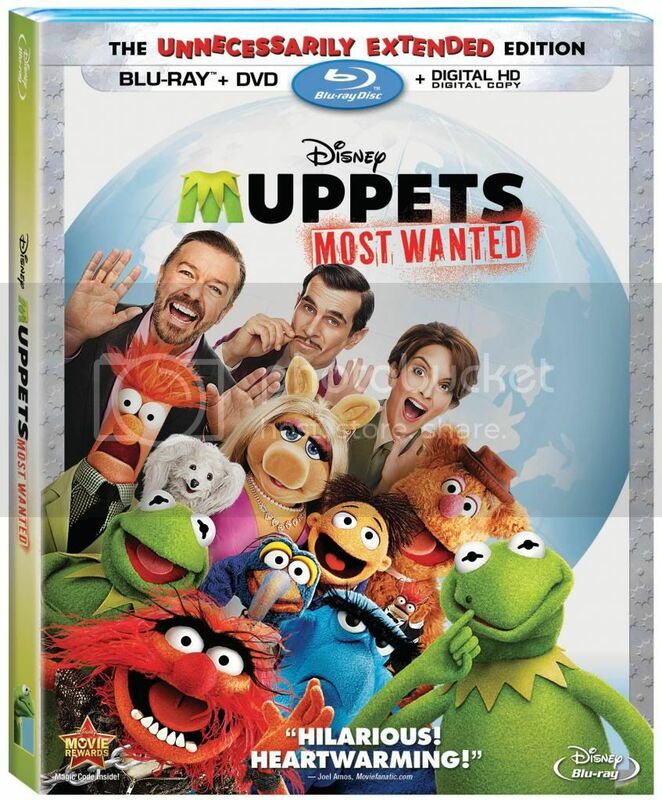 The Muppets are back in the globe-trotting, star-studded musical comedy adventure Disney's "Muppets Most Wanted", available on Blu-Ray Combo Pack, Digital HD, DVD, Disney Movies Anywhere (DMA) and On-Demand Aug. 12, 2014 from Walt Disney Studios Home Entertainment. Starring Ricky Gervais, Ty Burrell and Tina Fey, this must-own family film makes its in-home debut with THREE versions of the film: The Original Theatrical Cut, the Statler and Waldorf Cut, and The Unecessarily Extended Cut, featuring hilarious bonus content, plus more music, more mayhem and more Muppets! Picking up right where "The Muppets" left off, this Blu-Ray Combo Pack includes a version with 12 minutes of footage that wasn't seen in theaters, the hilarious gag reel, and the music video for "I Can Give You What You Want". With special guest appearances by Chloe Grace Morentz, Ray Liotta, Sean Combs, and Salma Hayek, this movie is sure to be jam packed full of laughs. Who doesn't love Toy Story?! 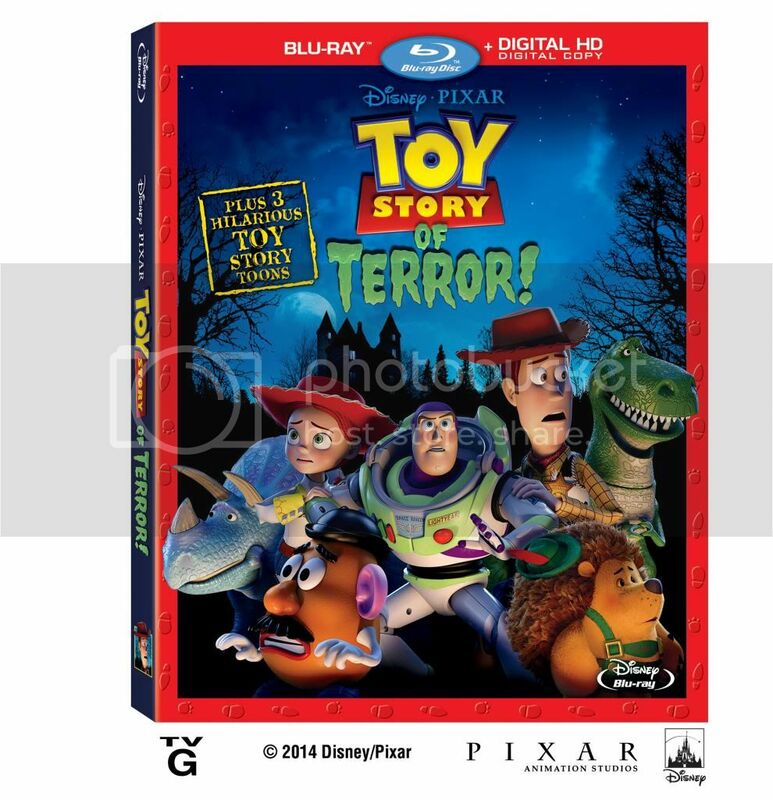 This is one of our favourite Pixar movies, and I love the idea of a Halloween themed adventure for Woody and the gang! Featuring the talents of original cast members Tom Hanks, Tim Allen, Joan Cusack (plus many others! ), as well as introducing us to newcomer Carl Weathers as Combat Carl/Combat Carl Jr., the Blu-Ray Combo pack also includes Toy Story shorts, deleted scenes, parody vintage toy commercials and a special teaser! Which of these titles are you looking forward to the most? Which do you think your kids will enjoy? We're looking forward to seeing Bears. I know when it's Disney that it's something we can all watch together and it won't be disturbing to the younger ones. Muppets Most Wanted also looks cute. Ooo those look like fun movies! I heard a lot about Bears! Boost Your Energy with NuGo Protein Bars! Stress, Anxiety, and Exciting News!